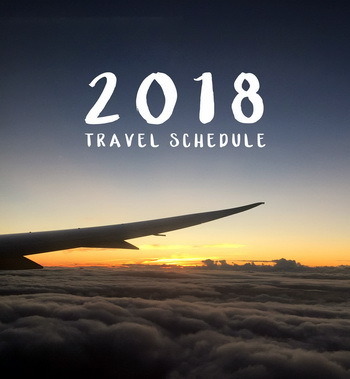 It’s spring 2018, and the travel season is soon to be opened, meaning that people will quickly start looking for new destinations to discover places we’ve never been to. Undoubtedly, the process goes far beyond picking up a map and pointing out a country we’d like to visit. As a rule, we have to choose a hotel, book a flight and check the reviews, just to name a few things. We all want our trip to be as good as possible as there’s nothing worse than a ruined holiday, is it? In the past, people got to resort to traveling agents to ensure their travel. But now, no-one needs their services as long as you have a smartphone. The power of modern technology allows us to facilitate this task all courtesy of travel apps. Again, all you just have to be equipped with is your smartphone. A decently-designed app allows you cover every aspect of travel like how to get to the particular street in an unknown town or which activities you can enjoy once you arrive. It also provides info on how to communicate with the locals and pay for a rented car or cocktail in a bar. If to sum up these insights, an excellent travel app rotates around effectiveness and speed. A neat interface, a proper search engine with a possibility of personalization, transparency and reliable payment methods will make an app you won’t delete in disappointment shortly after the installation. Meanwhile, as time goes by, travel apps are getting better and better. So it makes sense to keep checking the current trends to be sure your app has all the newest features and elements.